Arrival Talk -- Aligarh, October 9, 1976: So that is Caitanya Mahāprabhu's mission. He practically did it, and He asked everyone to do it. Āmāra ājñāya guru hañā tāra ei deśa CC Madhya 7.128 . "This is My order." He could remain a big devotee at His home. He was very popular in Navadvīpa, even when He was twenty years old. But still, He took sannyāsa and went door to door, village to village, town to town in India, and He left His order: pṛthivīte āche yata nagarādi-grāma. "All over the world, as many towns and villages are there, this Kṛṣṇa consciousness movement should be..." Not that "We are big, big gosvāmīs and bābājīs. We do not go out of Vṛndāvana." They say that: "We do not go out of..." You are imitating them. (chuckles) Caitanya Mahāprabhu says that pṛthivīte āche yata nagarādi-grāma. 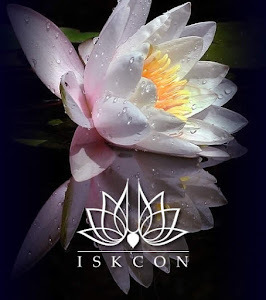 And they have become very big Vaiṣṇava: "No, I don't go beyond the limits of Vṛndāvana." What is this nonsense? Did Caitanya Mahāprabhu say like that, that "You do not go beyond the limits...?" A devotee, wherever he is, that is Vṛndāvana. That is Vṛndāvana tīrtha. Kurvanti tīrthāni. A devotee, a pure devotee, can make any hell a tīrtha, a holy place. That is devotee. Tīrthī-kurvanti tīrthāni. That was Bhagīratha. Gaṅgā was hesitating, mother Gaṅgā, that "I shall go to the material world. People will take, all sinful men will take bathing, and I'll be overloaded with sin. Then how I shall get out of this sinful, accumulation of sins?" So Bhagīratha said, "My mother, don't hesitate. When a holy man will take bath in your water, then all the sins he will assimilate." Then she agreed. "Yes. That's..." So if we become holy man, actually, then immune. There is no difference. That is Caitanya Mahāprabhu. These are bogus, that "I do not go out of Vṛndāvana." They are making Vṛndāvana limited. Vṛndāvana is not limited. Wherever there is Kṛṣṇa, wherever there is Rādhā-Kṛṣṇa temple, that is Vṛndāvana. That is Vṛndāvana. Caitanya Mahāprabhu said. Caitanya Mahāprabhu, He, once only, He went to Vṛndāvana. Does it mean He was not in Vṛndāvana? So this is Caitanya Mahāprabhu's mission, that preaching must go on in hell and heaven. We should be very much expert and follow the instruction of Caitanya Mahāprabhu, the simple instructions. Mukunda mādhava yādava hari bolena bolo re vadana bori. Simply chant the holy names of Lord, mukunda mādhava yādava. This is Caitanya. Rise early in the morning. 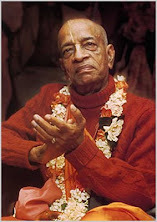 You go and preach, and work hard, day and night, and that is Caitanya Mahāprabhu's... This song indicates. That's all.